That's our 2014 Chairman's entry for this year. We have put in a lot of time working on it and way more working on the activities that we talk about it in. The Chairman's Award is FIRST's highest honor and something all teams should strive for. Sorry for not having an update yesterday, nothing really exciting has happened. We're assembling the competition robot, putting some of the bumpers together, and getting ready to spray paint some of our other parts. 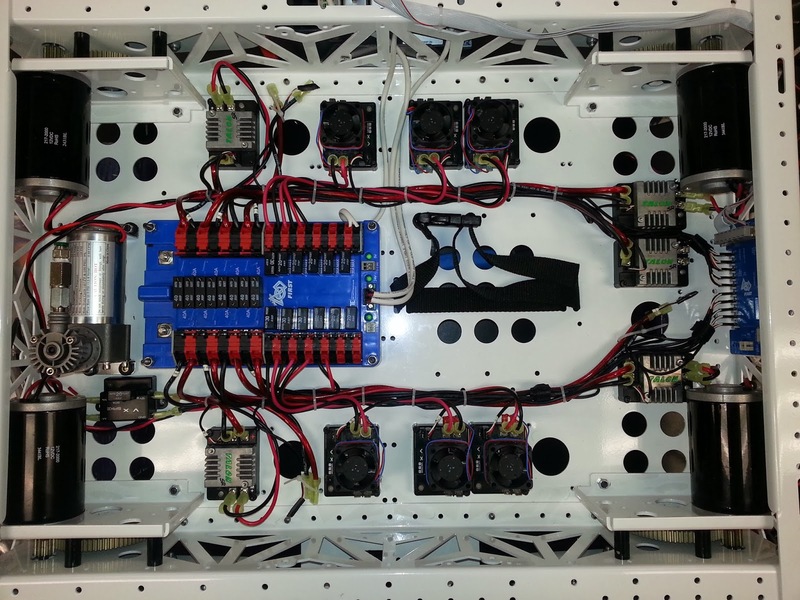 Here's a quick picture of our wiring for the competition robot. We're still not as good as some of the west coast teams (254, 968, 1538, etc.) but we're pretty happy with it. 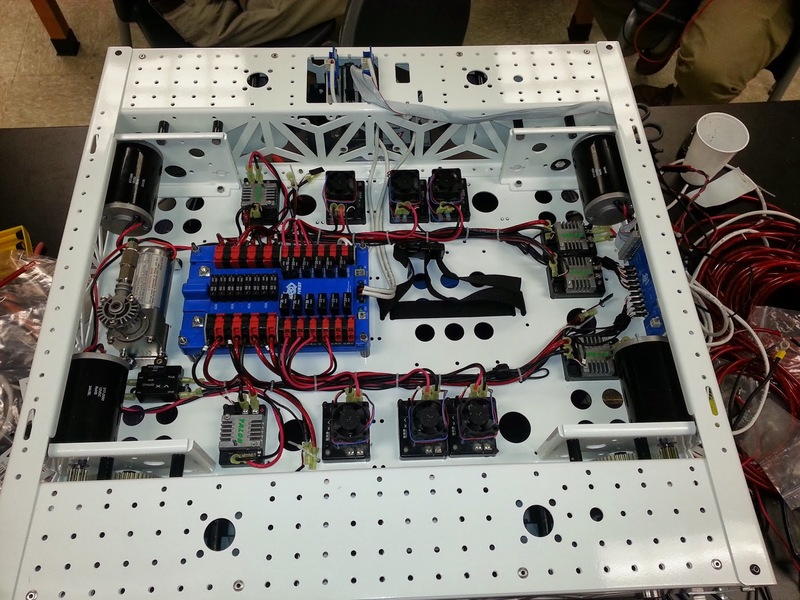 This is still missing pneumatics, sensors, the main breaker, and a fewer other things, as well as three talons, which will be withheld with our practice bot and the MiniCIMs that attach to them.